Forking out for kids school shoes and trainers several times a year costs enough, but if you need to get motorcycle boots too, then things really do start to mount up. 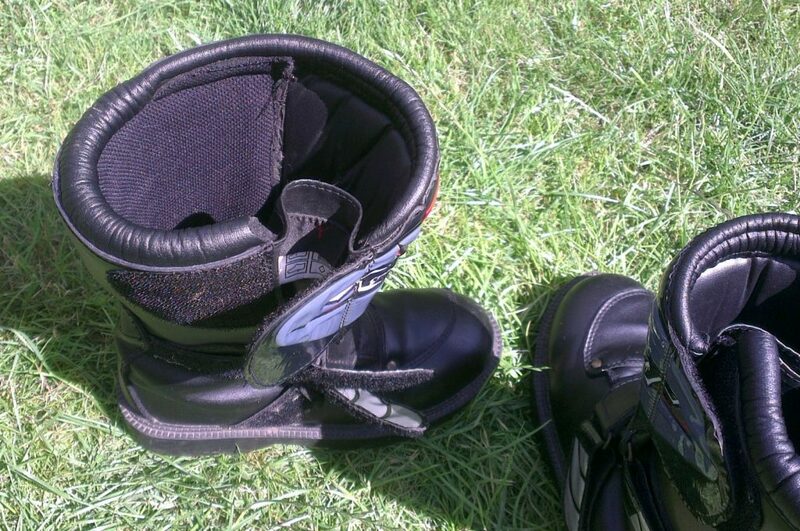 Thankfully, these RST boots don’t break the bank. As with most kids gear, it’s more often grown out of, rather than worn out. As such we were able to pick a good condition pair of these boots up off ebay cheaply. They’re made from a study and solid leather, have a good chunky sole with lots of grip. The boots are waterproof lined, with two straps and a flap with Velcro to tighten the boots around the ankle and shins. They also have a leather gear change panel and a soft padded lip around the top. My daughter wore them on numerous rides for about 3 years, throughout which they have held up well with little sign of wear. The only real issue was the insoles came loose and started ruck up inside, but these were easily and cheaply replaced. 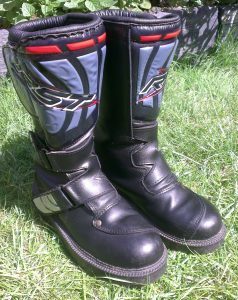 A slightly updated version of these is now available; the RST Moto-X / MX 2 boots, which appear to be similar but with new buckles. 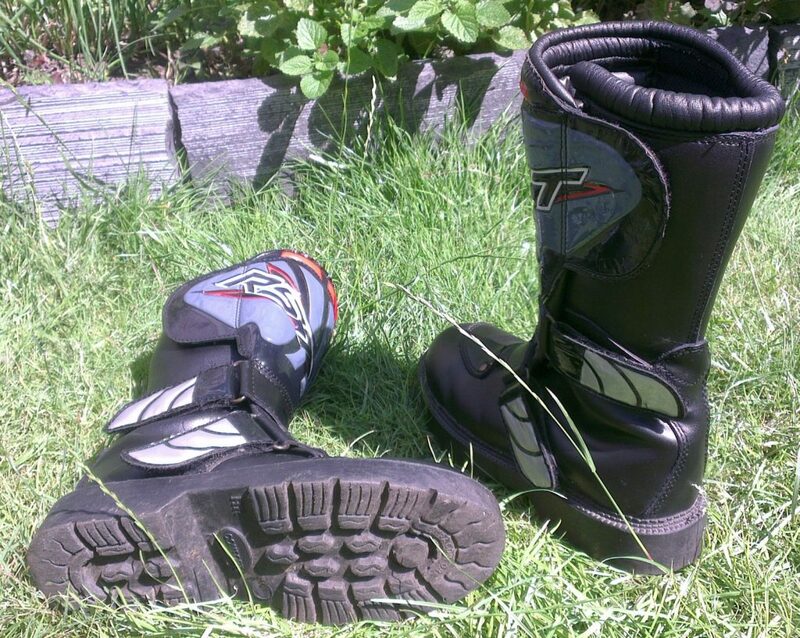 Buy the RST MX-2 boots from SportsBikeShop.